Last Christmas I was anxious about how to feed my kids a dinner worth calling Christmas dinner. I was stressing out about the pennies. The day before my daughter was due to arrive, my neighbour knocked on my door. She is a private chef. She had 3 bags of groceries that her employer was ready to throw out, they were going away and had no need for them, so she decided to give them to me. The dinner problem was instantly solved. Inside were full fish, Langouste, Vegetables, Fruit, expensive cheeses, all sorts of things. I ran a rough total in my head at around 200 euros worth of food. My Christmas meal with my daughter was fantastic. 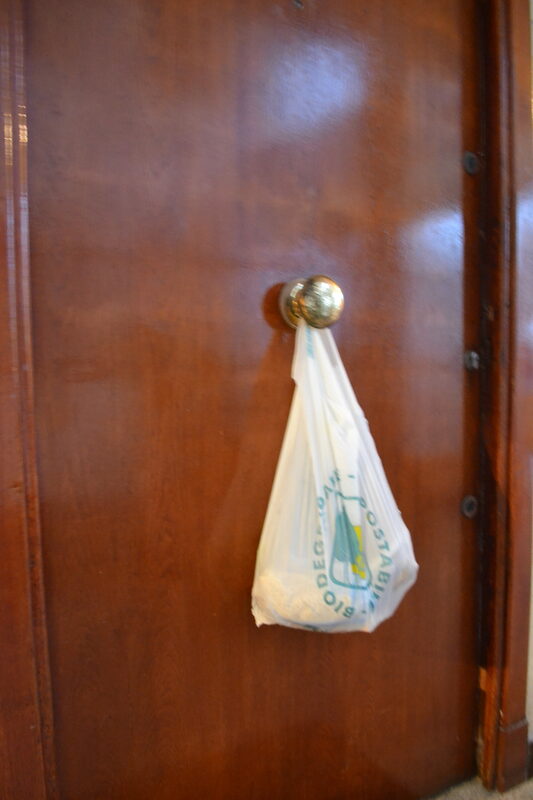 My neighbour continued to leave food on my door almost every week. Sometimes there was a lot sometimes there was a little but it’s always more than enough to feed me for one meal. I told her many times to call on me if she had any need. I was feeling guilty. I was feeling like the old man in the street the neighbours look after. One such time she called on me was last night. Fearing the train strike she wondered could I get her to Monaco will all the shopping for the boat. Not a problem. So this morning out of bed at 6 am and off to Market by 7, for 3 bags and box of provisions. Then drive to the motor way, and navigate the rush hour. Stop in Carrefour for an hours shopping, that cost a sum of money, that would more than do me for a month. During the morning, sometimes she got stressed, the many things she had to accomplish before the boat left the port seemed impossible and I was unable to find a way in to help her deal with her stress. She was stuck in the impossible, the I can’t , the tension of it all. With the energy, and my tiredness I found myself drifting into thoughts, of ‘how am I going to come out of this? ‘ ‘Maybe she will pay me for the petrol?’ Maybe she will throw me 20 euros who knows. Maybe, what if, possibly, me, me, me. As we progressed and made time, she calmed down and we managed to laugh a little. Each time I drifted into thinking about myself, I managed to pull myself back to the Joy of eating the most marvellous Christmas dinner with my daughter. I recalled the look she gave me at my door each night, those limpid dark eyes full of respect and kindness. I recalled the laughter, the times when it seems to fall pin point, money is scare and bang at my door, the beautiful neighbour, and more than one meal. We got her to the boat on time, I helped her carry her purchases aboard and waited to drop her somewhere else before heading off to do my own job. It was 11 am by the time I left Monaco. She had left me more than enough money to pay for the autoroute, and a quarter box of cigarettes. I was grateful. As usual , it was more than enough. I am telling you this story because I realised, even though I benefited in ways I can never put into words, from the Actions of this woman, I was still in the mindset of what am I getting out of it? I have to remind myself it’s not about that in any case, even though I have received more than enough. A caring sharing economy is for me today, about breaking the mindset of what can I get out of it, and stepping into What can I put in to it? So I have challenged myself in this group. What is it I can put into it, my day, the people I care about, the community, what can I do concretely to create a caring sharing economy? Can I avoid counting the cost to my self or disregarding what I have already received. Our relationship of give and give continues with my neighbour. I am her driver and handyman and she is my food provider. She thinks it’s nothing. I know it’s a lot.